You see, I feel like your home should reflect who you are and what you love. I have always felt like that. If your style and what makes you happy is not the “in trend”, then so be it. Do YOU. Do what YOU love. That is certainly what I do. 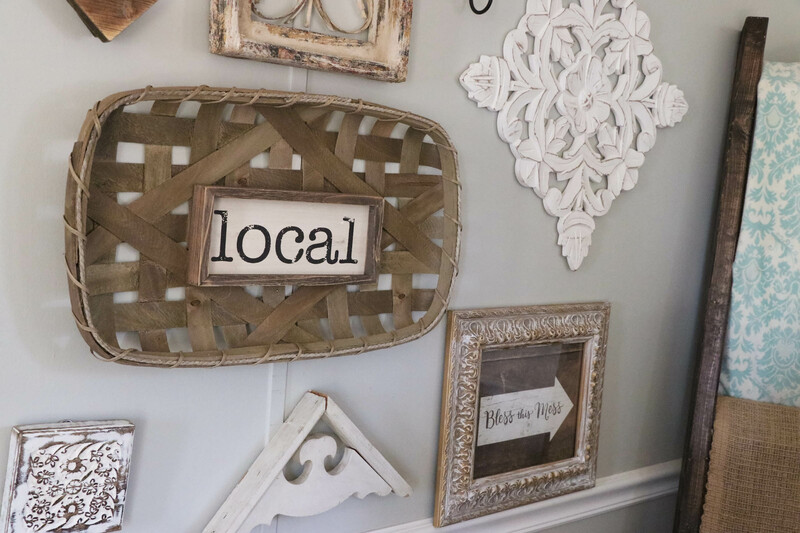 I love color, but I also love farmhouse style. 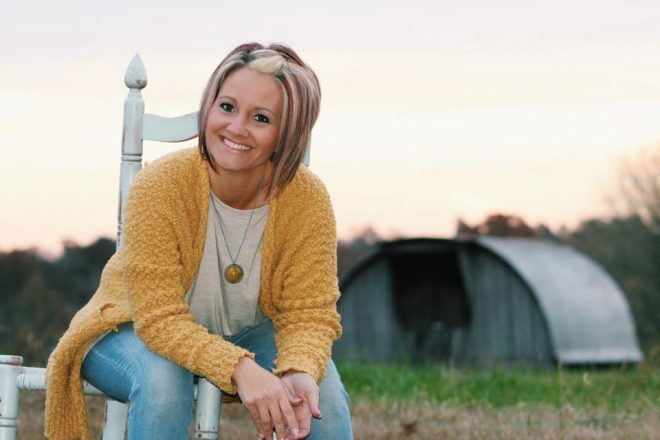 When we first moved into our mobile home on the farm, I decorated very colorfully. I loved it, and I still love it- but I have gradually moved towards a more farmhouse look, with more neutral tones throughout. YES, there is still color! In fact, in our home that we are building- there will be color AND farmhouse. I could never do away with color completely! Guys…I am in no spectacular home. You won’t find this on the pages of a magazine. 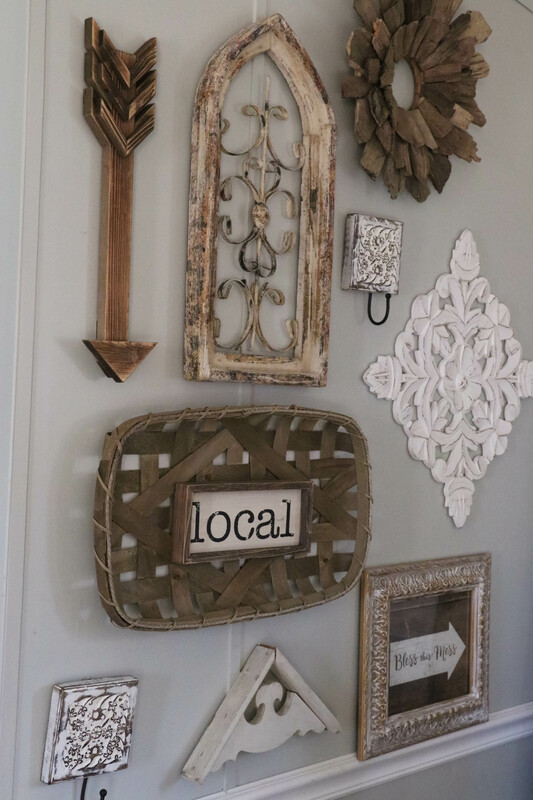 BUT…I still love to decorate, no matter where I am and how tight of a space I am in. I want you to be inspired to tackle your own projects! That is the entire reason for this blog! This gallery wall is full of random finds that I have had staggered around the house. 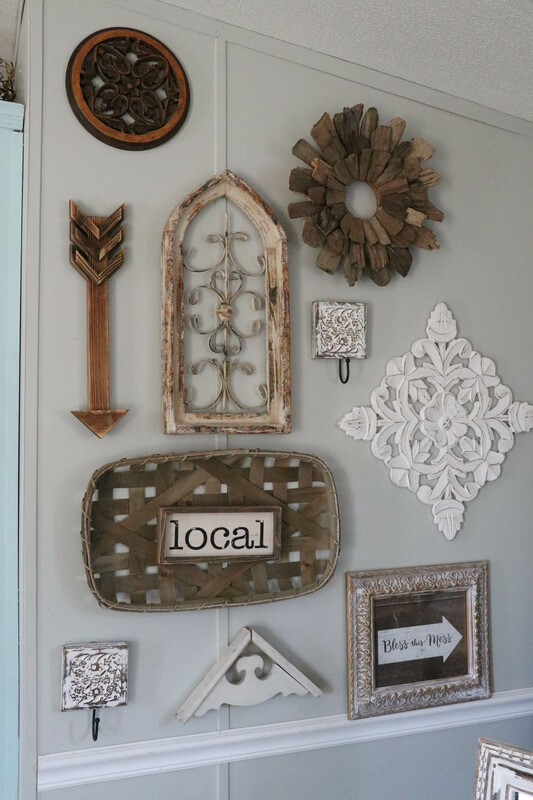 I just pulled them together in one place, and TA-DA…a neutral farmhouse gallery wall! The tobacco basket was from Hobby Lobby for just $7! I got it half price when the wall decor went on sale. If you follow me on Facebook, you will remember this frame! I did a Facebook live where I distressed this with vaseline and showed you the whole process! See all of my live videos on my page! I just started doing them about 3 weeks ago, so I would love for you to join me! 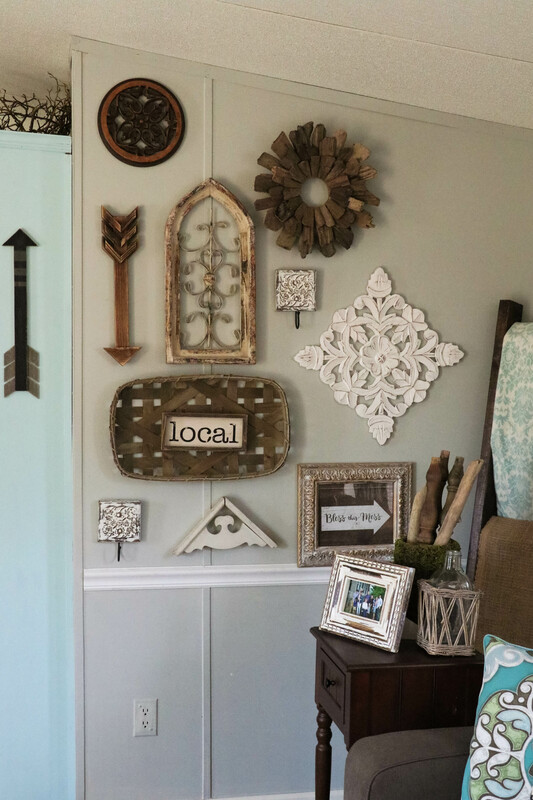 One thing I want you to take from this short little post is that when making YOUR gallery wall, pull pieces together that work together in some way, yet are totally different. Mix and match styles and even colors, if you don’t want neutrals. Just pull it all together and get started! There are really NO rules. Have Fun and show me when you are done! 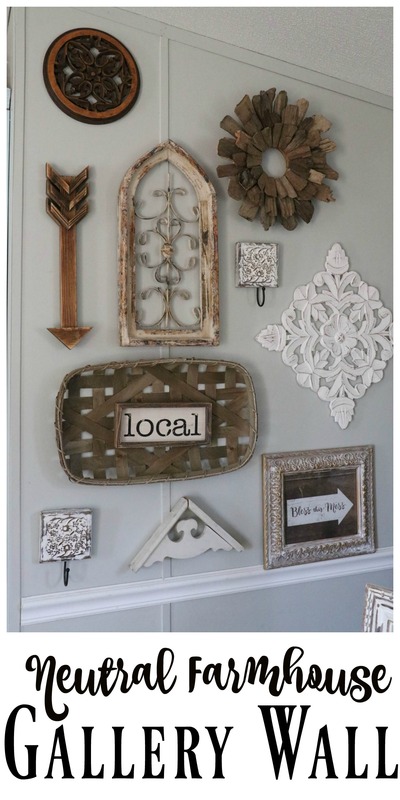 Pin this neutral farmhouse gallery wall for later! Looks great…I love how you continue to make your little home cozy and cute even though it is a temporary place. I would be doing the same thing…after all, the creativity bug never leaves me alone! 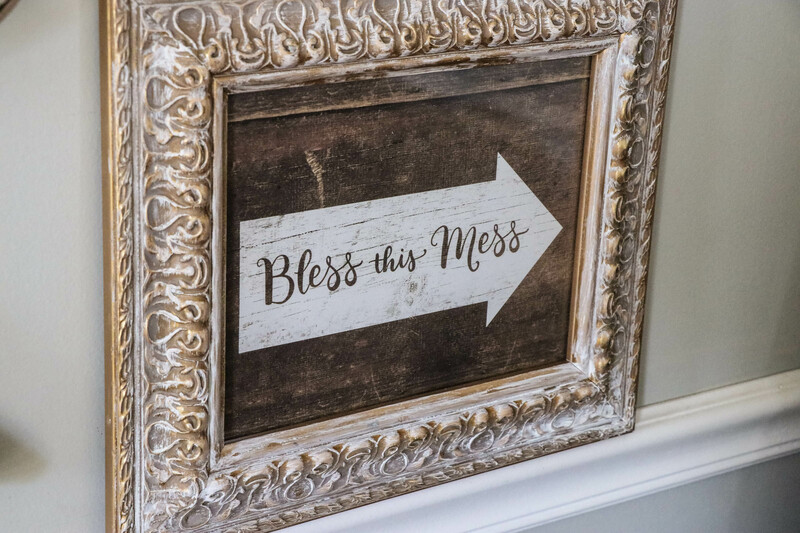 My house is constantly evolving with my taste changes, and I will always have some color in the mix with the farmhouse style too. Just decorated for fall, and I just have to add orange to my home…it’s the only time I would ever have orange but I love it this time of year! I hope to blog on what I did soon.